'1697, A female childe the daughter of Francis Boy (a quaker), called as he saith by the name of Sarah, and Hannah (which as friends say is according to the flesh) his wife was born December 4. In 1699 Thomas Nickolls of Tytherington and Joan Palmer of Runston (Chepstow) signified 'their intention of marriage and desire to accomplish the same in the way and manner of Friends.' The Minute Book of the Men's Meeting of the Society of Friends in Bristol records the very careful investigation which was carried out into their 'clearness'; investigators were instructed `to discourse the parties themselves, that they may give us their sense of them, how far they are convinced and find them to owne the Truth'. Two weeks later they were 'cleared and had the meeting's consent', and a month later they were married. 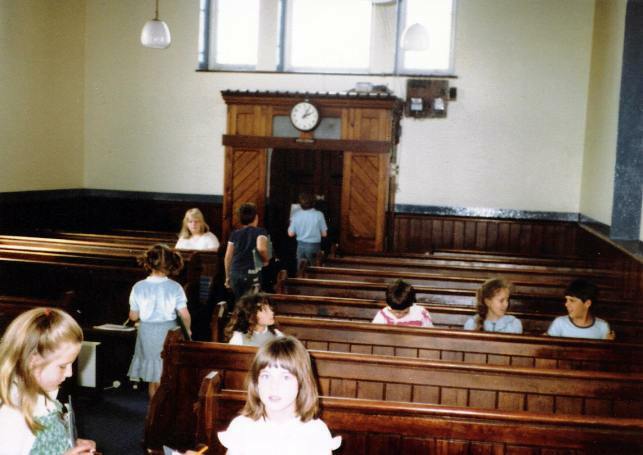 In the 18th century, non-conformism flourished against a back- ground of a somewhat somnolent church much concerned with the maintenance of the social fabric. 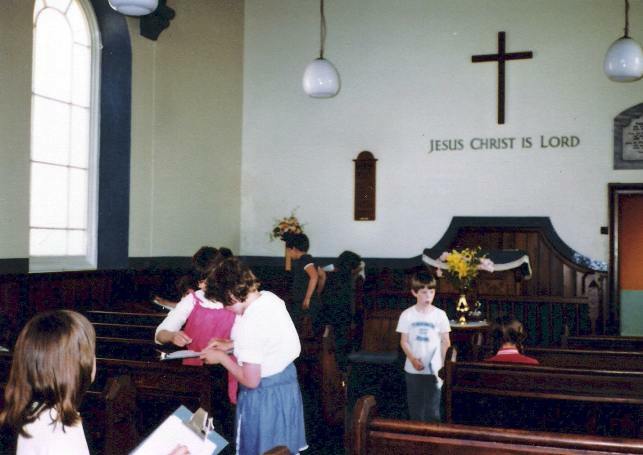 The Methodists rebelled and finally split from the Church of England in 1795. 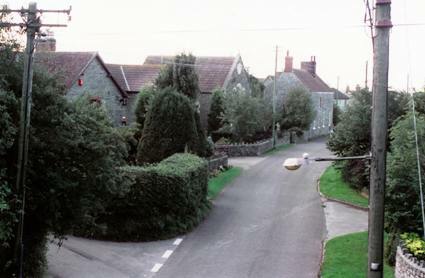 Five years before that, William Pullin in Tytherington obtained a certificate from the Bishop of Gloucester to hold a meeting of Dissenters in Yew Tree Farm, and further certificates were granted in 1811, 1832 and 1839. 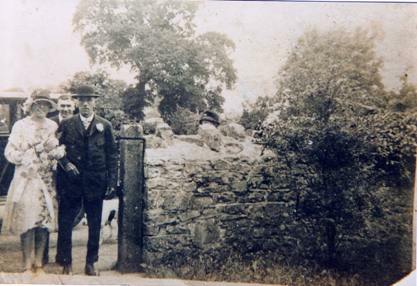 This last was for a meeting in the house of Henry Curtis, next door to John Boyt's house, cottages near The Crossings. 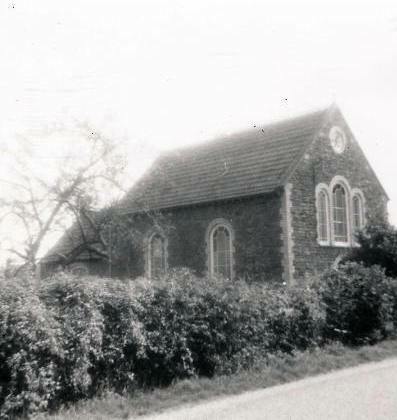 Only three years later, in 1842, a Baptist Chapel was built in the village along Stow Hill Road.. 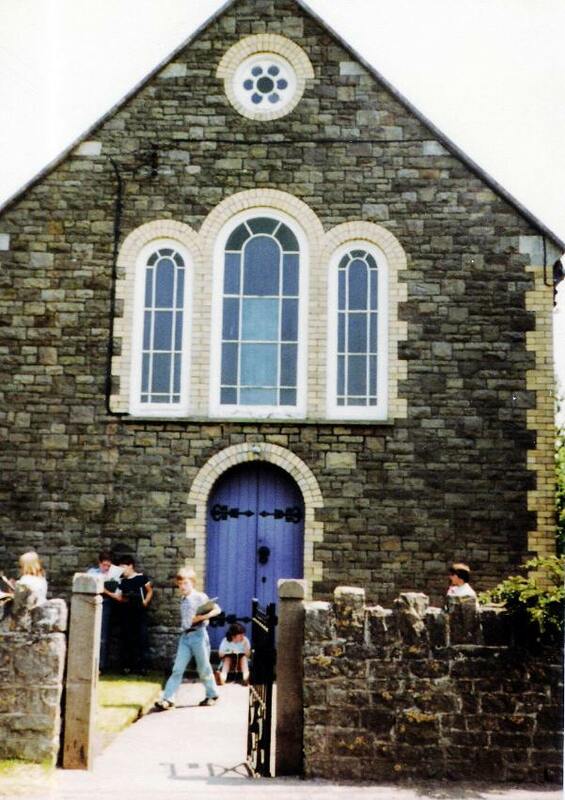 When it became redundant, the old Chapel was converted into a dwelling. 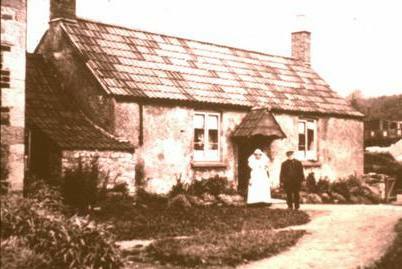 The photographs shows it as a cottage with its first occupants outside, James and Harriet Curtis, grandparents of Mildred and Alcey Curtis, great- grandparents of Frank and David Niblett and Philip Poole, and of Vernon Gibson, a retired dentist, Florida, USA, whose grandfather Harry Curtis ran away to the States. There are almost no records of Roman Catholics in the parish in recent centuries, although doubtless a few lived here from time to time, as they do at present. Click on the thumbnail photos to enlarge them.